Interchange Numbers &nbspChryslerPart Number: 68039104AA. Pressure Sensor 904-7112 Dorman - HD Solutions. Country of Origin China. UPC 885484458215. Weight: 1 Lbs. &nbspTechSmartPart Number: L86001. &nbspCumminsPart Number: 4032316. Part Information: Chrysler Dodge and Mopar Parts have redesigned the front steering linkage assembly with a significantly heavier duty set of components. New Mopar Revised Heavy Duty T-Style Linkage Assembly. Nitrogen oxide sensor assembly removed from a 2018 Dodge Ram 2500 equipped with a 6.7L Cummins diesel engine and 1k miles. Sensor assembly includes mounting bracket and shows minor surface smoke residue due to proximity to a garage fire. Item is an OEM used part in good condition and is covered by our 30 day parts exchange guarantee. Notes: OEM used part Good condition Nitrogen oxide sensor assembly (NOX sensor) 6.7L diesel Includes mounting bracket and hardware 2013-2018 Ram 2500, 3500, 4500, 5500 w/ 6.7L Part# 68210084AA (sensor assembly) Part# 68210092AA (bracket/hardware) *Minor surface smoke residue* Shipping will run $25 with insurance to anywhere in the lower 48 states only. No bids outside this area, please. Auto Works Inc. Madison, WI Stock: 4180. Authorized Banks Power Dealer. Fast & Free Shipping! Unlock the potential of your truck. This light upgrade will increase engine performance & fuel efficiency while aiding in reducing EGT's. The modified inlet design reduces surge and turbo bark. The intact VGT system insures a very smooth and responsive driving experience. This is a genuine MOPAR 6.7 LITER TURBO SPEED SENSOR. 2007-2012 DODGE RAM 2500 3500. 2008-2012 DODGE RAM 4500 5500. "Mopar Turbo Gasket --. Notes VIN L, Location : Upper. Condition : New. Therefore all implied warranties that may apply to your part are limited to the duration of this written warranty. Each warranty gives you specific rights, and you may have other rights which vary from state to state. Featuring a Fleece Performance exclusive 63mm FMW COMP compressor wheel and a high flow turbine wheel; this turbo is capable of supporting 650 RWHP, without sacrificing any drivability. BD Diesel Performance is unique among its peers in that it designs, manufactures and distributes a wide range of products specifically engineered for performance diesel applications. Located in Abbotsford, British Columbia, Canada, BD's state-of-the-art facility covers 65,000 square feet, and employs 60 plus highly-trained individuals. Interchange Numbers &nbspChryslerPart Number: 68039104AA. 2007 Dodge Ram 2500. Country of Origin China. UPC 037495332521. Weight: 1 Lbs. &nbspTechSmartPart Number: L86001. &nbspCumminsPart Number: 4032316. Dodge Ram 6.7L Holset Cummins Turbo Turbine Shaft & Wheel. Year: 2007.5 - 2012. We accept all major credit cards over the phone. 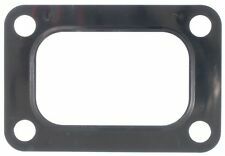 Mopar Performance 68005334AB MOPAR GasketMOPAR 68005334AB Gasket. Public Forums. Need to make a change?. Disclosure of Information Policy. Your credit card information is encrypted while traveling the Internet. "AFE Intercooler Coupler --. 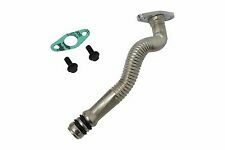 The BladeRunner intercooler coupling and clamp kit by aFe Power provides everything you need to get that BladeRunner system up and running efficiently. Notes : Fits aFe Intercooler Tubes Only. We are not able to send ANY race use products to the state of California. Note: This is a "Race Only" product used solely for competition. It's use is limited to closed-course and open-course racing that is formally sanctioned by a recognized racing organization. 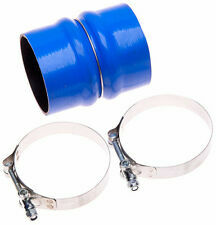 "AC Delco Intercooler Hose --. Therefore all implied warranties that may apply to your part are limited to the duration of this written warranty. Each warranty gives you specific rights, and you may have other rights which vary from state to state. "AFE Intercooler Pipe --. AFE POWER BLADERUNNER INTERCOOLER PIPES. Series : aFe Power BladeRunner. Quantity sold : Kit. Checks air turbulence for faster flow. Condition : New. Designed specifically for diesels ". "AC Delco Intercooler Hose --. Condition : New. Therefore all implied warranties that may apply to your part are limited to the duration of this written warranty. Each warranty gives you specific rights, and you may have other rights which vary from state to state. DEI 010144. Made from pulverized volcanic rock and then strained into a fiber material, Titanium turbo shields can withstand direct heat up to 1,800 degrees F and radiant heat up to 2,500 degrees F. The results are a cooler air intake temperature and a boost in horsepower! New Mopar Turbo Oil Drain Pipe Gasket - Sold Individual. Fits 2013-2018 2500 3500 4500 5500 with 6.7 Diesel Engine. This part is OEM and a Quality Fit! Warranties are only valid in the U.S.A. not included in your order. 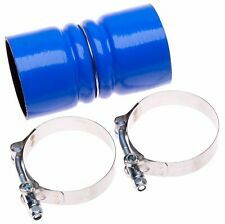 (New Mopar Water Outlet Tube O-Ring. Fits 2009 to 2012 Dodge Ram 2500 / 3500 / 4500 / 5500 6.7L Engine. Warranties are only valid in the U.S.A. excluded are Alaska, Hawaii, and Puerto Rico). not included in your order. Original Holset. Dodge Ram Cummins 6.7L. Core Deposits. Part Number: R8048234AH. To confirm that this part fits your vehicle, enter your vehicle's Year, Make, Model, Trim and Engine in theCompatibility Table. The engine types may include 6.7L 408Cu. This part fits vehicles made in the following years 2007, 2008, 2009, 2010, 2011, 2012. BD Diesel 1515937 BD BOOST FOOLERMfr# 1515937 - BD BOOST FOOLER. Public Forums. Need to make a change?. Disclosure of Information Policy. Your credit card information is encrypted while traveling the Internet. 100% Original Holset Parts. Dodge Ram Cummins 6.7L. Original OEM. Core Deposits. 100% Original Holset Parts. Dodge Ram Cummins 6.7L. Chassis Cab Model. Original OEM. Complete OEM Rebuild. Core Deposits We are not responsible for installation mistakes. Installation kit not included. 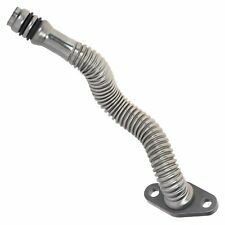 (New Mopar Diesel Turbo Oil Drain Tube. 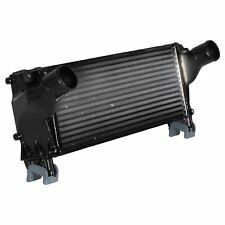 Fits 2007 to 2018 Dodge Ram 2500 / 3500 / 4500 / 5500 With Diesel Engine. Warranties are only valid in the U.S.A. excluded are Alaska, Hawaii, and Puerto Rico). Fits 2013 to 2018 Ram 2500 / 3500 / 4500 / 5500With Diesel Engine. These fees are. Warranty at any CDJR Dealer across the USA! International Orders. 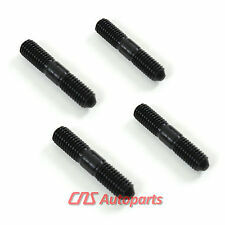 This part is OEM and a Quality Fit! Canada Orders. Part # or Vehicle Model: P5326057. LKQ SKU: LKQ136 ~201839971 TRBUNK. Vehicle Year: 2016. We do our best to prevent these issues from happening and apologize for any inconvenience it may cause. Vehicle Model: Ram 5500. 100% Original Holset Parts. Dodge Ram Cummins 6.7L. 12 Month Warranty. Original OEM. Most sales are for the turbo only. 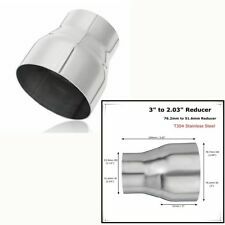 Fits 2010 to 2015 Dodge Ram 2500. 2010 to 2015 Dodge Ram 3500. 2011 to 2015 Dodge Ram 4500. 2011 to 2015 Dodge Ram 5500. not included in your order. These fees are. International Orders. Canada Orders. Dorman 904-341 Turbo Speed SensorDorman 904-341 Turbo Speed Sensor. Public Forums. Need to make a change?. Disclosure of Information Policy. Your credit card information is encrypted while traveling the Internet.